Set in 1904, August Wilson's Gem of the Ocean begins on the eve of Aunt Esther's 287th birthday. When Citizen Barlow comes to her Pittsburgh's Hill District home seeking asylum, she sets him off on a spiritual journey to find a city in the middle of the Atlantic Ocean. Gem of the Ocean is the ninth work in Wilson's ten-play cycle that has recorded the American Black experience and helped to define generations. 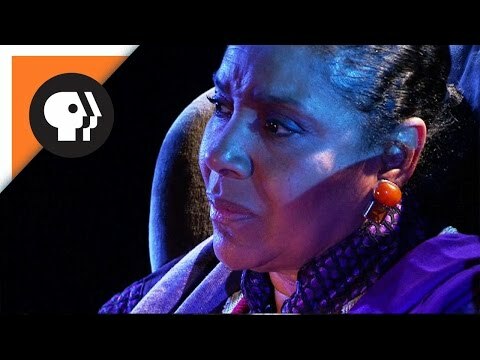 The Broadway run starred Tony Award winner Phylicia Rashad as Aunt Esther. 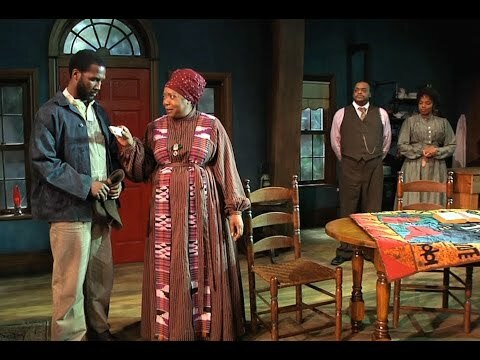 Setting: The play is set in 1904, the Hill District, Pittsburgh, Pennsylvania, in the parlor of Eli, Aunt Ester and Black Mary’s home. ELI – Aunt Ester’s gatekeeper and longtime friend of Solly. CITIZEN BARLOW – A young man from Alabama who is in spiritual turmoil. Late twenties/early thirties. AUNT ESTER TYLER – A very old, yet vital spiritual advisor for the community. BLACK MARY – Aunt Ester’s protégé and housekeeper. Late twenties. RUTHERFORD SELIG – A traveling peddler who is a frequent visitor of the house. SOLLY TWO KINGS – Suitor to Aunt Ester, former Underground Railroad conductor. Sixty-seven. CAESAR WILKS – Black Mary’s brother and local constable. About fifty-two. Gem of the Ocean premiered at the Goodman Theare in Chicago, IL in April 2003 under the direction of Marion McClinton.